Singapore's Michelin-starred street vendor Hawker Chan now open at 157 Lonsdale Street, Melbourne. Chan Hong Meng, a humble hawker stall owner has been perfecting his Cantonese chicken recipe for almost 30 years. In 2016 he was awarded the prestigious Michelin star and now looks to bring his dishes to the world! What's the secret to his delicious chicken dishes? While Chan won't spill all of his secrets, he does say that some of the aromatics in the soya sauce marinade include Chinese angelica root, cloves, coriander seed, and star anise. Chan makes the marinade from scratch everyday, steeps whole chickens overnight, and then braises them until the skin is deep brown and glossy. Customers regularly wait in line for up to three hours to get a taste of this signature dish from the stall, which opened in 2009.
said Chan Hon Meng initially. The queue for Chef Chan's hawker stall forms well before opening time, such is the reputation of his delicious soy sauce chicken rice and roast pork. 'When I see a customer eat and finish a plate of chicken,' he says, 'I'm very happy.' Mr Chan has a vision to bring his famed soya sauce chicken 'all over the world' and has graced Australian shores with his first restaurant opening up in the heart of Melbourne. The world's cheapest Michelin-star meal comes from a humble hawker center in Singapore; chef-owner Chan Hong Meng. 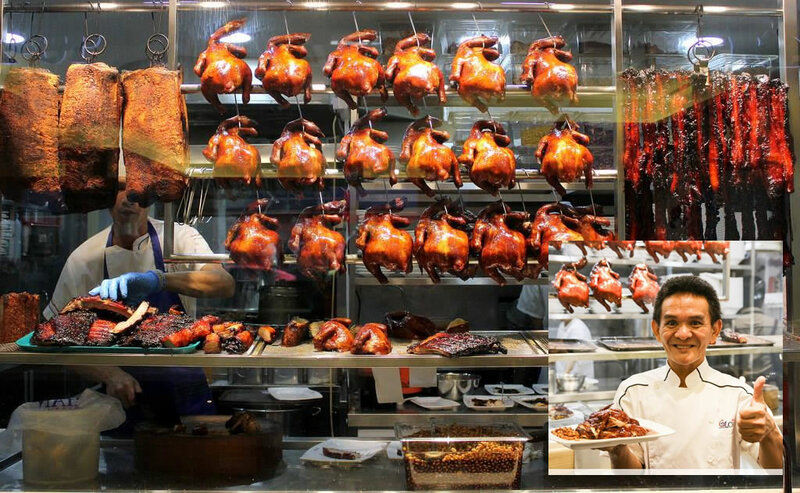 Queue at the counter to place your order at this hawker-style casual eatery.